Some of the most popular items I have recommended from our Deals store are Lightning cables. If you are an iPhone and/or iPad user, it’s hard to have too many. Between the living room, the bedside table, the car, and maybe the office, it certainly pays to be covered and have a cable standing by at the ready. And don’t even get me started about kids wearing their cables out and coming to borrow yours. If you have children with iOS devices, you know what I’m talking about. 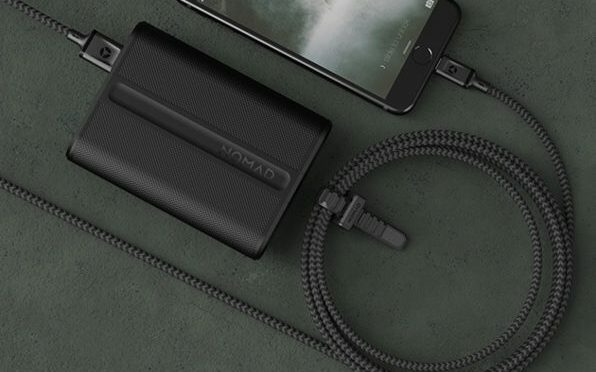 The Nomad Ultra Rugged Charging Cables have you covered. There is a standard Lightning Cable for $29.95, which is made from braided military-grade nylon covered with a protective PVC jacket. This 1.5m cable also comes with a very handy built-in cable management strap. A perfect all-around choice. 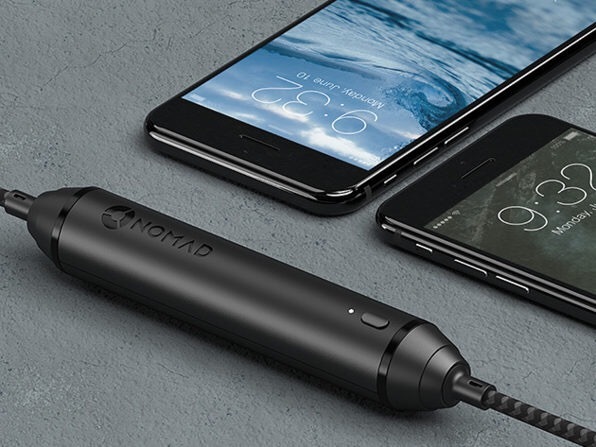 For those with devices or charging needs beyond iOS, Nomad also has a Universal Cable with both Lightning and Micro USB connectors, as well as all the features mentioned above. 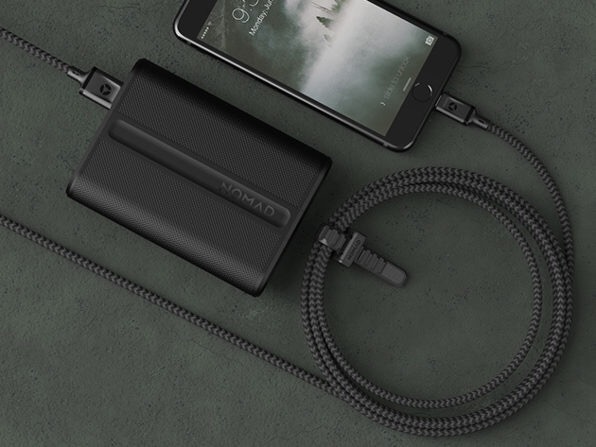 And for those who want a portable power boost that can pull double-duty, Nomad also has a Battery Lightning Cable. As seen above, this version comes with an in-line 2350 mAh battery, which can fully recharge an iPhone 7. The battery’s internal circuitry will insure that your iOS device will charge before the battery does, insuring that you are always taken care of first. All of these cables are MFi certified, insuring that they will work reliably with all your Apple devices. They also come from Nomad, a name you can trust when it comes to accessories. If you find yourself in need of a cable that can stand up to a little punishment, then look no further. The Nomad Ultra Rugged Lightning Cable is available from our Deals site for $29.95. The Universal Cable is available for $34.95. The Battey Lightning Cable is available for $39.95.